Even as new, proposed rules and regulations threaten to crack down on the payday loan industry, consumer complaints continue to grow. Payday loan complaints continue to grow in the U.S., as well, but statistics point towards online and illegal payday lending practices. 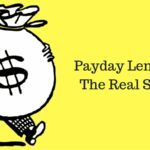 The online payday lending sector is one of the fastest growing spaces within the payday lending industry. Idaho announced they’ve seen a rise in payday loan complaints in their state in recent years. 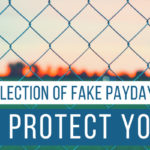 They also reported that they were issuing “cease­and­desist orders against online payday lenders, with most targeting out­of­state websites”. As complaints continue to rise, we expect that complaints against online and illegal payday lenders will rise exponentially. Many online payday lenders attempt to operate just outside of their legal boundaries, by operating out ­of ­state or “stretching” the rules. With legal issues in question, naturally consumers are raising concerns and filing complaints. The ease of operating online has also set the stage for scam artists, who are now taking advantage of unknowing borrowers. However, at the same time, consumers are becoming more and more aware of illegal payday lending practices and scams. They’re learning what to look out for and how to protect themselves. 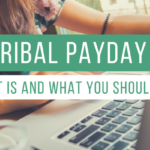 With the payday lending industry under close scrutiny by consumer advocate groups and the press, consumers are becoming more aware of their rights. And as this knowledge continues to spread, consumers are now standing up for their rights and filing complaints more than ever before. Make sure you are aware of your rights and the dangers of Payday loans. Know what to look out for when dealing with aggressive payday lenders. And if you feel as though you need to file a complaint, you can do so with the Consumer Financial Protection Bureau. To submit a complaint, go online to consumerfinance.gov/complaint. 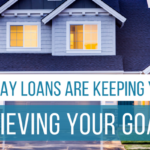 At Real PDL Help, our team specializes in payday loan debt relief. We work one­on­one with people who are struggling with mounting payday loan debt, unmanageable monthly payments, and aggressive lenders. If you’re overwhelmed by payday loan debt, contact us today. We can help!